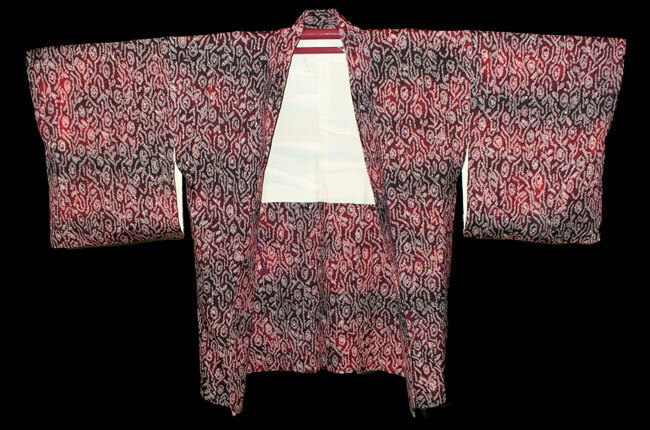 Kimoyes item: 18630 - Silk haori with dyed shibori design in shades of red. 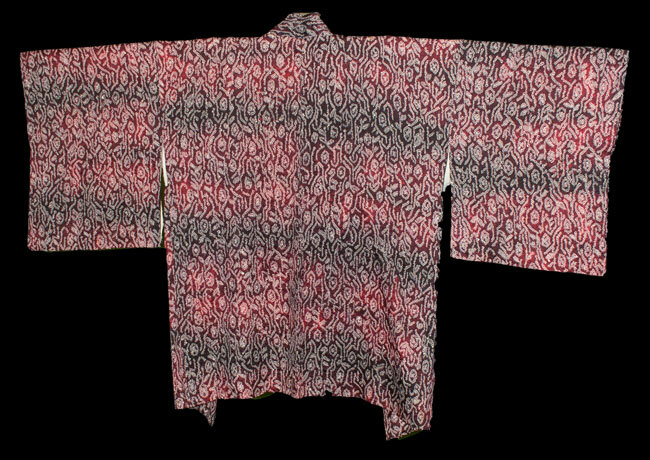 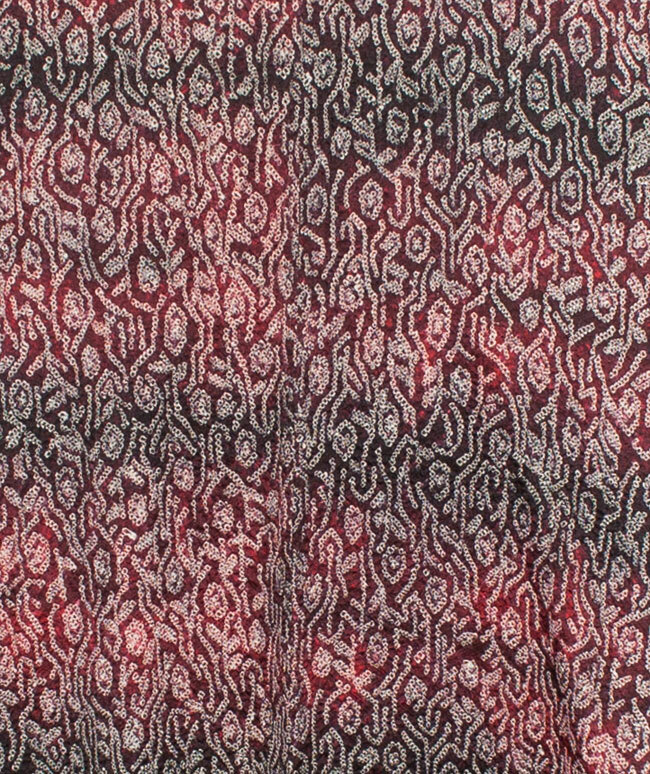 Silk haori with dyed shibori design in shades of red. 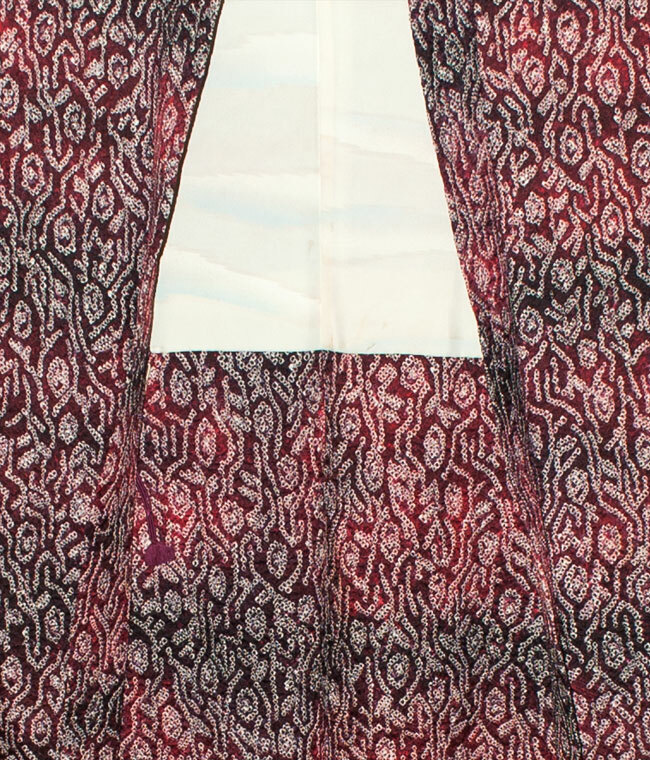 31 inches long and 50 inches from sleeve edge to sleeve edge.